Clutter can quickly become overwhelming if you don’t have a working plan that helps you know what to keep, toss or sell. Getting organized can be as simple as setting aside a couple hours a week to weed through clothing and clutter to simplify your belongings. These tips can help you get started. You will want to keep any items that you really love and that you use often. Sometimes it is easier to keep things that you can use even though you already have enough of the item for you and your family. For example, if you purchase a set of dinner ware on sale but have never opened the box because you already have plenty of dishes, now may be the time to make a donation to clear the clutter in your kitchen. 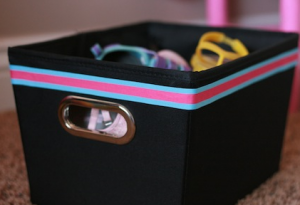 Keep sentimental items sorted into plastic tubs, such as baby clothes, for easy storage. Anything that you haven’t used within the last three months should be donated or trashed. Items that can be sold should be saved, but make sure that you set a firm time frame for selling the items. If you haven’t sold the items within the amount of time set aside, make sure to donate the items rather than keep them. Some things that you should toss include anything that isn’t recyclable, items that no one else can use, such as broken toys, and clothes that are ripped or torn. You can donate any clothing that is still in good condition to local charities. There is a large market for vintage and collectible items. Some things that you may consider trash can also be sold if you know where to go to earn money with the items. For example, soda cans can be sold through Aluminum Recycling New Orleans. Recycling companies will also buy other types of metal, allowing you to earn a profit on things that you can’t use any more. When you are trying to clear the clutter, make sure that you have also set aside a specific time to turn in old soda cans and other metal for recycling. If you wait too long, you will find that you aren’t able to reach your goals for organization easily. With just a little planning and a good schedule, you can have your home organized and ready for the summer. Recycling and donating to charities are some of the best ways to get rid of things that your family no longer uses.